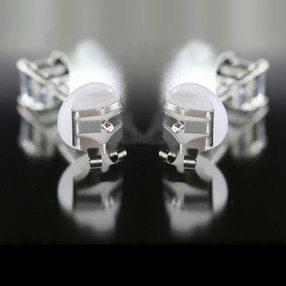 LOX-MEGA GRIP LOCKING EARRING BACKS WITH PATENTED TECHNOLOGY HAVING A RELEASING ACTION TO BE USED TIME AND TIME AGAIN. THE ONLY ONE OF ITS KIND FOR THE LOW PRICE OF 13.95 FOR A 2 PAIR PACK. 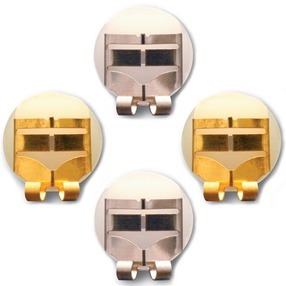 1 PAIR GOLDTONE AND 1 PAIR SILVERTONE PER PACK. 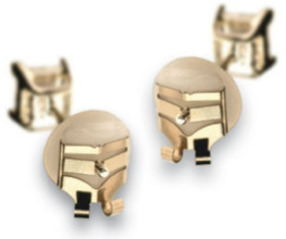 AVOID LOSING ANOTHER PAIR OF EARRINGS. LOX IT DON'T LOSE IT! MADE FROM HYPOALLERGENIC MATERIAL.